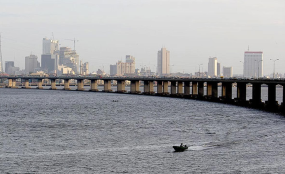 Third Mainland Bridge in Lagos will be shut to traffic at midnight on Thursday July 26 and reopened at midnight of Sunday July 29. He explained that if vehicles were allowed on the bridge during the tests, the movement would alter the readings expected from the tests. Kuti said the results of the tests would enable them to determine how to embark on actual repair work, adding that details of alternative routes would be provided to members of the public tomorrow after a stakeholders' meeting in the afternoon tomorrow.